spirit of hope and possibility that filled his message. What I really liked about Bill Clinton's speech in support of Hillary is that he underscored how the minutia of tasks associated with politics is very often not as glamorous as one might expect—that is, if it's done well. By talking about Hillary's very hard, lifelong work of researching issues over the decades in order to develop a sound knowledge base for decision making, in concert with building constituencies and political avenues around them, is not for the faint of heart. It is for those that have stamina, persevere, and who sacrifice their lives, families, and time so that the world can be a more just place. This is not at all to say that Hillary or any other public servant is perfect, but rather to state that even if Hillary benefits from the fact that her husband was a past president, she has nevertheless invested her entire life and career in politics. It's still not easy for her. It's not going to be easy for her. But she's hard working, committed, and abundantly competent for the position of President of the USA. Anastasia Somoza, speaking on behalf of the disabled, was extraordinary. fun of them. So disgusting and unacceptable. It was so moving watching and listening to this and seeing all the people crying in the audience. His three-minute standing ovation was telling of the adoration and support for him. I hope this all means that Sanders has helped to create a truly progressive and enduring movement in the democratic party and in politics, in general. Bill O’Reilly’s comments yesterday on Fox News in reaction to Michelle Obama’s democratic convention speech, were profoundly demeaning, patronizing and injurious. Specifically, Michelle Obama acknowledged living every day in a house built by slaves. With respect to a very obviously charged, poignant, and unsettled part of our history, what his comments help to unveil is not only his hubris and hard-heartedness on the matter, but also the far reaches of the ideology of white, Western European supremacy and its continuing justification for our country’s history of war, conquest, and colonization against indigenous people of which the brutal and degrading institution of chattel slavery was a significant part. People think of race and racial nomenclature as natural, as a fact of existence. Yet these are inescapably modern terms today since none existed in Europe prior to the early 1600s. Nor were they present on this continent prior to Columbus' arrival. For millennia instead, aboriginal people identified themselves as members of specific clans, tribes, nations, or ancestries. The very categories of "white" and “black” came into existence with the consolidation of slavery in the early-mid 1600s (Omi & Winant, 2014). Race—and the terms we casually use in speech as personal identifiers, hateful, prejudicial discourse, or terms of endearment—is a modern construct. In the history of humanity, there has always been slavery unfortunately, but historically for millennia, no group ever enslaved members of a race. Instead, PEOPLE/OR A PEOPLE/OR PEOPLES were enslaved and not the members of any race because race did not exist as a concept and especially not for the purpose of classifying and categorizing humanity on all manner of characteristics (especially, notions of intelligence and ability). This phrase of "survival of the fittest" actually derives from English philosopher and political theorist, Herbert Spencer, and meets up with the ideologies of individualism and meritocracy that work in tandem to reduce economic, cultural, political, and social success of both individuals and groups to individuals’ hard work, talent, and investments in human capital. This is a power-neutral, power-evasive, succinct, sterilzed (dominant) narrative. Society’s structure of opportunity—that even this story of the white house and Michelle Obama’s re-telling of it illustrates—privileges the voices of some over others regardless of how offensive they are, underscoring exactly how privilege can work not only as a weapon, but also as a shield for reactionaries and bigots in a racist society. The concept of race therefore emerges historically precisely out of colonialism, the occupation of native lands, colonization, and slavery and it finds regular expression today in everyday ways, but most visibly in high-profile arenas and struggles. Take, for instance, curriculum battles such as those at the legendary Texas State Board of Education, as well as in the dismantling of Mexican American Studies in the Tucson Unified School District by the Arizona State Legislature in the form of House Bill 2281 passed in 2010. To wit, many of us are currently involved in a battle with Texas' State Board of Education challenging the adoption of a racist, secondary-level, textbook published by a former SBOE member that is currently under consideration by the board (see link for news on this unfolding story). It also finds expression in minority group members themselves that similarly subscribe to the negative images by the dominant group toward them, making them feel ashamed about their origins, dialects, and native tongues. The scholarly literature calls this “internalized oppression” or “internalized racism.” I have written about such things in my own work. A vexed history involving battles over school finance, segregation, and representation in the curriculum are arguably the most enduring and stable expressions of struggles over white privilege wherein challenges to white hegemony in arenas where whites (especially white men) dominate are either flatly ignored, consist of piecemeal, token remedies, or met with poisonous invective—such as that spewed by Bill O’Reilly that he, for the most part, has never had to justify. 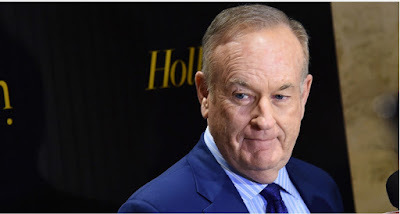 According to this (il)logic, O’Reilly not only never risks his job, but he and Fox news get further empowered to continue silencing constructive discourse on race that may be good for ratings, but that are nevertheless an obstacle to the goal of inter-ethnic and inter-racial dialogue, peace and harmony. Instead, he injects cynicism and a mean spirit into the atmosphere. The scientific racism that grew out of Darwinism and individualism generated an extensive body of scholarship that was widely discredited in the aftermath of World War II. It nevertheless regularly resurfaces and holds sway among a small, but dedicated segment of eugenics scholars, publications, websites, etc. In Texas, the State Board of Education social studies curriculum battles reveal the presence of a neo-Confederate agenda that seeks to elevate the likes of Jefferson Davis and the Confederate cause even as they decry the inclusion of women and minorities in the curriculum (especially see Erekson, 2014). The most well-known, recent manifestation of scientific racism regards Richard Herrnstein and Charles Murray’s 1994 book, The Bell Curve. It argues for a genetic explanation regarding the black-white IQ gap, setting off one of the most contested debates over the racist notion of the heritability of these measured differences. The motivations to keep this kind of “institutionalized deficit thinking” alive are not only their profitability—as this story of the building of the White House by slave labor directly implies—but also as a sufficient rationale for the dominant group’s maintenance of power and privilege. Racist demagogues like Bill O’Reilly, together with legions of others who are pretty much okay with our highly uneven status quo arguably have an emotional commitment to institutionalized racism. Or, to use Dr. George Lipsitz’ (2006) words from his classic work on white privilege, a “possessive investment in whiteness.” In addition to the sensibilities of people of color, decent human beings, and hard-working Americans, what gets sacrificed by this possessive investment in whiteness is a deeper engagement with a topic that could serve as a bridge to difference, mutual respect, and understanding. It would be interesting to know, for example, the impact of this extraordinary experience of building the White House and other buildings on the slaves themselves, particularly in the context of working with some “free blacks, whites, and immigrants” that O’Reilly mentions. Who were they? Where did they come from? How were they changed by this experience? And what about West African aesthetics and how this may have found expression in architecture? Was it ever a factor in design for the monumental structures that draw so much admiration world wide? This is clearly difficult work since many records weren’t kept; however, this memory may reside in folks songs, journals, diaries, music, or in oral narratives handed down generationally. We need to promote this kind of work in our universities and communities through story-telling and archival projects in order to preserve our respective histories. Our children could also take time to reflect on, to think about what Michelle Obama—instead of Bill O'Reilly—said. Her spirit and intention opens possibilities for great, imaginative discussions on what could have been, and most especially, the strength of African American families to survive and struggle in myriad ways against slavery. Volumes of literary works and scholarship on slavery already exists that every generation needs to engage. So for O'Reilly to position himself through his blatantly racist and condescending comments that “slaves that worked there were well fed and had decent lodgings provided by the government, which stopped hiring slave labor in 1802," is minimally to be an apologist for slavery, and maximally, to inadvertently position himself as an imperialist, enslaving conqueror looking down on Michelle Obama and the rest of us who were forced to reflect, however "inconveniently," on the fact of this massively important history that is our collective history in her public address. The ideology of white supremacy is clearly one to which O'Reilly is wed and upon which he and others—Fox News included—thrive. And it is precisely this supremacist speech, thinking, and ideology—together with an emotional investment in whiteness—that is at stake in this election. Ok, so how do we get around this possessive in whiteness? How do we as a society get around this? Well, it's asking those in power and that support current constellations of economic, political, social, and cultural power to join the human race and to at least listen to demands and grievances that promote human and civil rights, peace, dignity, and domestic tranquility. Plus, if it matters, it'll be great for profits, too, to go in this direction. Perhaps counter-intuitively, this gets accomplished not by evading history and being dismissive of others' narrative power and most particularly, extraordinary, much-admired women like Michelle Obama. Rather, one must face it directly. And who better to mediate this than our primary, secondary, and higher education faculty, researchers, and practitioners throughout the system in partnership with our community-based organizations and our schools districts, as well as our colleges and universities? Falta de respeto, interpreted as a lack of respect that is deeply felt, is what we call it in my community. We get there by researching, archiving, teaching, and sharing our very profound and complex stories and histories in relation to this continent. We get there through ethnic studies, area studies, humanities, social studies, history, sciences, education, and wherever possible. Rather than through blindness, we get there through class, color, gender, culture, and power consciousness We get there by connecting to the grassroots in our schools, churches, civil rights organizations, unions, professional associations, political party and non-partisan organizations, nonprofit sector, and beyond. It is a way of knowing and being in the world. It is about values and the rearing of our children and grandchildren with intention in a loving family and community, and with a good and clear sense of direction for a brighter future not only for ourselves but for all of humanity. We, of course, all see the thinning of hatred's wall. However, we remain hopeful that despite all the hate-mongering, a spirit of good will, constructive dialogue, open-mindedness, cultural respect, and peace in our families, will prevail. Erekson, K. (Ed.). (2012). Politics and the history curriculum: The struggle over standards in Texas and the Nation. Springer. Herrnstein, R. J., & Murray, C. (2010). Bell curve: Intelligence and class structure in American life. Simon and Schuster. Lipsitz, G. (2006). The possessive investment in whiteness: How white people profit from identity politics. Temple University Press. Omi, M., & Winant, H. (2014). Racial formation in the United States. Routledge. No Curriculum Left Behind: Democratic Platform on Education Missing Support for Ethnic Studies in Public Schools. The democratic party really needs to get religion really soon on the Ethnic Studies movement that is sweeping across the Southwest like a gust of fresh air (e.g., see this blog http://tinyurl.com/hmpoudg). It represents the revitalization of an historic struggle for curricular respect, recovery, and inclusion with roots that go easily back to the 1960s and 70s Mexican American—as well as Puerto Rican, African American, Native American, and Asian American—civil rights struggle but which has acquired added momentum in the wake of the dismantling of Mexican American Studies in TUSD in Tucson, Arizona, in May, 2011 and in response to the literal banning of books in that school district that rather than quelling, fomented renewed emphasis on Ethnic Studies by scholars, as well as parents, students, and community advocates nationwide. You can begin learning about this here and throughout this blog. Folks, the jury is in. Ethnic Studies promotes academic achievement, college readiness, better school attendance, and a positive sense of belonging not only in K12, but also at the higher education level. Let's all learn about and fully support Ethnic Studies in Arizona, California, Texas, New York, and beyond. Let's also lend our support to the beleaguered Ethnic Studies Department at San Francisco State University, the program and partnership that helped birth the well-developed program in the San Francisco Unified School District (SFUSD) that is now receiving accolades as a result of the Dee and Penner (2016) study that showed very positive findings regarding its benefits. We need many more partnerships and programs like this one throughout the U.S. There is other important work in this regard by K12 Ethnic Studies scholars like Christine Sleeter, Carl Grant, Emilio Zamora, Nolan L. Cabrera, Gloria Ladson-Billings, Alma Flor Ada, Margarita Margie Ines Berta-Avila, Laura Alamillo, Olga Vásquez, Belinda Bustos Flores, Gilda Ochoa, Peter Mclaren, Barbara Flores, Ellen Riojas Clark, Keffrelyn Brown, Anthony Brown, Luis Urrieta, Bernardo Gallegos, James Banks, Lisa Delpit, V June Pedraza, Juan Tejeda, Philip Chinn, Bill Howe, Linda T. Smith, Cynthia Dillard, Sandy Grande, Ines Hernandez-Avila,Cherie Cherrie L. Moraga, Sonia Nieto, Geneva Gay, Zeus Leonardo, Nicholas Daniel Hartlep, Julio Cammarota, Deb Palmer, Francesca Lopez, Cinthia Salinas, Martha P. Cotera, Carmen Tafolla, Juan Felipe Herrera, and myself, to name but only a very few. Intellectually, ethnic studies is no longer a discipline that is situated "at the margins." It rests instead at the core of fresh articulations of social justice, college readiness, and inclusion. At its best, it serves as an antidote to children's alienation and disaffection from school and develops a counter-narrative of alternative routes to a better world and future both for themselves and society at large. In addition to the stock concerns with respect to all forms of literacy, Ethnic Studies accords primacy to the heretofore subjugated knowledges, histories, stories, values, frameworks, and ways of knowing such that by tapping into their liberatory potential and promises—that any well-conceived ethnic studies course, concentration, program, or department accomplishes—it simultaneously reinscribes the Deweyan notion of schools as laboratories for democracy. In the absence of culturally relevant curricula taught by teachers that have been prepared adequately to teach the curriculum, youth may form detached, vulnerable, identities that can unwittingly become fertile ground for any kind of ideology, extremist or not, that casually or cavalierly—as in the case of the current Republican presidential nominee—presents itself to them. The demonstrated, emancipatory potential of Ethnic Studies for ALL children and for society, as a whole, should settle the matter and form part of all future party platforms. With respect to our struggle for inclusion in Texas, please consider signing a petition on behalf of our Responsible Ethnic Studies Textbook Coalition (or "REST Coalition") at masforTexas.org. Additional information is available at mastexas.org. No excuses, democratic party. Our nation's children need culturally relevant curriculum, culturally relevant teachers to teach it, and we need it to compliment and not supplant bilingual and dual language education, the latter of which should already be a default throughout our state and nation if we are to enter into the membership of a world community as ambassadors to a new national consensus on the imperative for Ethnic and Multilingual Studies in all of our nation's schools and classrooms. Let's make this happen—and let's make this happen now! Happening next week. Among the issues to get addressed are the Fisher decision and campus carry. Jacob Fraire, President and CEO of the Texas Association of Community Colleges (TACC) is delivering a keynote. Registration: Register for the symposium here. Final Program: Download the full program here. The 7th Annual Texas Higher Education Symposium will take place August 4-5, 2016, at the University of Texas at Austin. The symposium, sponsored by seven Texas universities (UT-Austin, UTSA, TTU, UNT, SMU, Baylor, and UH), brings together higher education researchers, practitioners, grant funders, and policy-makers to discuss innovative research, policy, and practice focused on this year's theme, "Addressing Inequity through Policy and Praxis." Symposium participants will engage in collaborative roundtables, concurrent sessions disseminating research and practice, as well as panel discussions on campus carry, the Fisher case, and Texas educational policy and research. The symposium is a multi-institutional effort designed to address educational inequity from the perspective of high-quality research to inform practice and policy, nurture the next generation of scholars focused on Texas higher education, and create a space of creative collaboration among higher education stakeholders.